"Client" means the person who has requested Adriatic securities to provide services or any other person who has agreed to pay for services or has previously remitted payment for those services. "Company" means any one or more companies or trusts for which the Client has asked Adriatic securities to provide services. The Client agrees to pay the fees charged by Adriatic securities which fees include annually recurring amounts but, although effort is made to maintain the same fee level for as long as possible, Adriatic securities reserves the right to increase the level of fees payable. 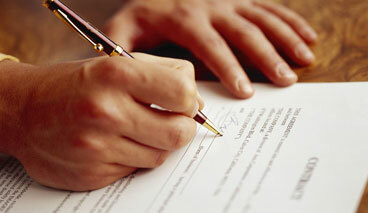 The fees are set out on the basis of immediate settlement by the Client. When Adriatic securities invoices for annual services, 20 % may, at the discretion of Adriatic securities be added to the fees invoiced but the additional amounts is fully allowable as a discount if the invoice is paid within 30 days. In the event that the Client fails to settle invoices properly rendered to him by Adriatic securities within the period for payment notified on that invoice then the Client authorises Adriatic securities to deduct the fees from any account, monies or property under the control of Adriatic securities and belonging to the Client or the Company. If the Client no longer requires the Services provided by Adriatic securities then within 30 days of receipt of the invoice for the forthcoming year's Services the Client shall advise Adriatic securities accordingly. If the Client does not so inform Adriatic securities then he shall be deemed to have accepted liability to pay for the Services for the forthcoming 12 months period and shall be liable for the payment of the invoice in full. Domicilliary and management services are provided on a yearly basis. A termination fee shall be payable by the Client to Adriatic securities upon the Services no longer being required whether this be due to liquidation, transfer of the management of a company or trust or otherwise. The fee payable shall be US$1,000 in respect of each company or trust established. This termination fee will be charged additionally to any fees payable for documentary work, time spent in effecting such termination and disbursements payable to third parties. Adriatic securities reserves the right to decline instructions from a Client without giving any reasons. Adriatic securities will procure the resignation of the Officers they provide upon written request from the Client. No reference shall be made to that registered offices address in any advertisement or public announcement without the specific consent of Adriatic securities. The facility is available on the basis of license revocable at will by Adriatic securities and the Client will upon request from Adriatic securities immediately transfer the registered office address to another address selected by the Client. It may be necessary for Adriatic securities to move its offices to another location and such a move may well make it necessary for the registered office address(es) of the Company to be changed. Adriatic securities undertakes to give the Client as much advance notice as possible of any such move but it will not accept responsibility for any costs incurred by the Client as a result thereof. The Client agrees to inform Adriatic securities immediately upon changing his usual business address or residential address or telephone or fax number, that Adriatic securities may at all times be able to contact the Client should there be need. All requests for action shall be transmitted to Adriatic securities by the Client in writing by fax, mail or email. Adriatic securities may agree to action any request or instruction given otherwise than in writing only on the express understanding that Adriatic securities shall not be liable in respect of any misunderstanding or error occasioned in processing such action or request acted upon in good faith. All communications in relation to the administration of the Company shall be deemed to have been properly communicated to the Client if sent to the address notified to Adriatic securities by the Client in accordance with these Conditions of Business and all such communications shall be deemed to have been properly received by the Client ten days after posting such communication to the Client. It shall not be necessary for Adriatic securities to provide proof of postage. Adriatic securities shall not be liable for any failure to comply with any instructions and shall not be responsible for non receipt of instructions. The Client shall have no claim whatsoever against Adriatic securities in respect of anything done or omitted to be done or in respect of any exercise of any discretion unless same shall be mala fide or fraudulently. In its web site and other materials Adriatic securities provides information on services. Such information does not purport to be legal or other professional advice and cannot be taken to constitute such advice. The Client agrees to provide Adriatic securities upon request with whatever information Adriatic securities may require about the background of the Client's Company.